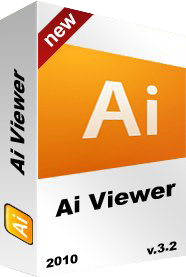 Ai file extension is associated as "Illustrator" by Adobe Systems Inc. Ai or Adobe Illustrator is a vector-based drawing program, developed by Adobe Systems. Ai file extension representing single-page vector-based drawings in either the EPS or PDF formats. Early versions of AI file extensions are EPS files but with restricted, compact syntax and additional semantics represented by Illustrator-specific DSC comments that conform to DSC's Open Structuring Conventions. Recent versions of AI file format, same as PDF based formats and recent EPS file formats, are based on the native format that is called PGF and that is not related to both EPS and PDF. Since Ai file is in vector format, it can be enlarged without loosing quality of the image. Instead of using bitmap image data, Ai file format is composed of paths connected by points. Some programs can open Ai files but may rasterizing the image, which means that vector data will be converted to bitmap format. This will make file size smaller and more acceptable by more applications, but some of the image quality may be lost during this process. Ai image files are mainly used for logos and print media. How to view Ai file? AI Viewer is a freeware and does not contain any form of malware, including but not limited to: spyware, viruses, trojans and backdoors. AI Viewer uses only libraries that are need for processing, the interface is sample and easy to use. All this provides faster and stable work of the application. AI Viewer is very simple and easy for use. All you need is to open AI file, zoom, resize and save in other format if you want.